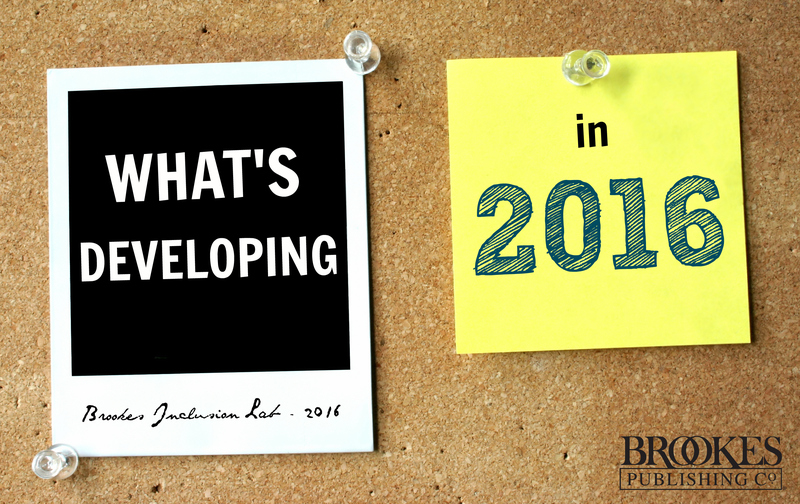 SPECIAL ANNOUNCEMENT: What’s In Store for 2016! We love connecting with you on social media and here on the Brookes Inclusion Lab blog. Whenever you share something with us–what interests you, moves you, and concerns you most–we listen carefully, because we want to bring you the kind of practical information that’ll really help you in your work and life. 1. Fair Isn’t Always Equal…Now What? 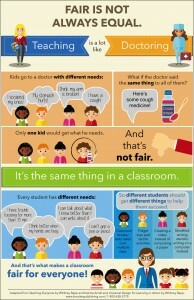 This fall, we created a poster called “Fair is Not Always Equal,” based on the idea that every student in the classroom should get what he or she needs to succeed. The poster went viral on Facebook, but some educators raised a great question: How can busy teachers effectively meet the learning needs of 30 students in their limited time? Teachers are superheroes, but even they can’t add hours to the day. We’ll bring you our best answers to that question in the new year, with case stories from educators, guidance from our expert authors, and ready-to-use tips on differentiated instruction, UDL, co-teaching, and more! Healthy social-emotional development is fundamental to a child’s success in school and in life. How can educators and parents actively support the development of important social-emotional skills, including reducing stress, managing anger and worry, dealing with bullying, making friends, and engaging in positive behavior? Over the next few months, you’ll get practical, effective ways to guide your students’ healthy social-emotional development and help them navigate their challenges. With initiatives like Thirty Million Words making headlines, the focus on young children’s language and literacy development is stronger than ever. That’s why we’ll be giving you our best tips on supporting language and literacy in early childhood classrooms. You’ll get tools and strategies on everything from closing the word gap and making the most of shared reading to improving emergent literacy skills and supporting literacy for students with autism and other disabilities. To make sure you don’t miss a thing, subscribe to this blog–each time I put up a new post on one of these topics, I’ll add its corresponding icon so content is easy to spot. I’ll also be tweeting about the content, so follow us on Twitter if you don’t already; we’re at @BrookesPubCo. I’m excited to start sharing all this with you! Stay tuned for Thursday’s post on how to flip old negative scripts about UDL into positive yes-we-cans; it’s a great post for sharing with administrators or anyone skeptical that UDL can work in their school. Best wishes for a happy and productive 2016–let’s make great things happen together!